Pair a mini facial or micro-current with any treatment! A versatile resurfacing and hydrating procedure that produces immediate visible results. This facial cleanses, exfoliates, extracts, and hydrates leaving your skin to feel soothed and hydrated with immediate results. A full skin analysis, this facial is uniquely customized to fit your skin’s needs. Includes a deep cleanse, exfoliation, and masque combined with a hand and arm treatment. FAQ: What are Eyelash Extensions? Professional Eyelash Extensions are semi-permanent, lasting 4-6 weeks depending on the life cycle of your own natural lashes and other factors. Though the average cycle of a single lash is between 60-90 days, factors such as your eyelash characteristics, lifestyle, and general care of your lashes will affect how your Lash Extensions last. Eyelash extensions are made thicker and longer through professional application of an individual synthetic eyelash directly attached to the natural eyelash with a specially formulated bonding agent. When professionally and properly applied, you cannot feel any difference after having your lashes enhanced. In addition, they have a natural looking curve so there is no need to use eyelash curlers. All lash extensions services are performed and applied by a Licensed Esthetician and Advance/Certified Lash Stylist. We encourage a complimentary consultation with one of our Lash Stylists for all clients visiting (first time) from another Salon/Spa to determine the best lash appointment as some clients may require some correction from the previous Lash Stylist. FAQ: What is Body Sugaring? An all-natural paste made from sugar, water, and lemon juice free of any additives. Hair is extracted in the direction of hair growth which prevents breakage, less pain, longer lasting, few to no ingrown hairs, little to no irritation or redness. Skin feels smooth, clean, and healthy. Choose from Essential Lavender or Sugar Scrub. A 45 minute body treatment followed by a 45 minute customized Express European Facial to help you relax and unwind your body and mind! Helps your skin to detoxify, exfoliate, and relieve stress. 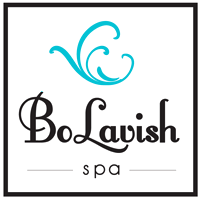 Experience an intensive back treatment that includes a cleansing exfoliation, extractions (as needed), a pampering back massage, and a purifying masque for soft and supple skin.